Mother's Day is Sunday May 8th. Make Mom Happy with Chocolate! Vermont Nut Free Easter Bunnies - in milk, dark and white chocolate. Enjou Floppy Eared & Mini Bunnies - Bunnies unlike any you have seen before. Cadbury Creme Eggs - Imported Dairy Milk chocolate with a fondant centre. Cadbury Caramel Eggs - Imported Dairy Milk chocolate egg with caramel centre. Cadbury Dairy Milk Caramel with 2 mini caramel eggs - Imported Medium hollow Milk Chocolate Egg with two mini milk chocolate eggs with caramel centres. Chocolate Peeps - Multiple Colored Marshmallow Bunnies and Chicks. Asher's Vanilla, Chocolate, Peanut Butter Butter Cream Eggs - We have them in milk and dark chocolate and also in coconut and chocolate cream. Easter Pals - Jelly Easter candy on a stick - Egg, Bunny and Chick. Madelaine Decorated Easter Eggs and Bunnies - in amazing milk chocolate. Nestle Smarties Shakers - Imported Milk Chocolate egg containing mini Smarties. Godiva Chocolate Gems - Milk Chocolate Truffles in an Easter packaging. Cadbury Crunchie Eggs - Imported Milk Chocolate Egg. Cadbury Flake Medium Egg with four Flake bars - Imported - The Crumbliest, Flakiest Milk Chocolate. PEZ Easter Pals - Candy dispensers. Cadbury Creme Egg Giant - Imported Hollow Milk Chocolate Egg and six Milk Chocolate eggs with soft Fondant Centres. Nestle Smarties Egg Medium - Imported Milk Chocolate egg with a Smarties Tube. Cadbury Button Chick - Imported Hollow Milk Chocolate chick with Dairy Milk Buttons inside. 18 pcs in Dark or Milk Collections. Available for only a limited time! 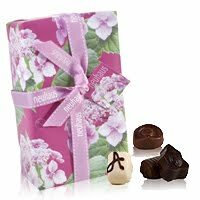 Today, Leonidas is a world-renowned Belgian chocolate maker, that is inspired by their company beliefs started nearly one hundred years ago. 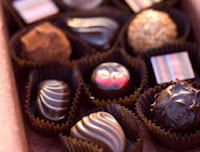 Leonidas chocolates are well known their freshness and quality.